Secret Circle, winner of the 2013 G1 Breeders' Cup Sprint, will head to Dubai to run in the Group 1 Golden Shaheen. Trainer Bob Baffert told the Daily Racing Form Sunday that Secret Circle would make his next start in the $2 million race. The 6-year-old horse worked six furlongs in 1:12.60 at Santa Anita on Sunday in preparation for the race. Baffert also confirmed that G1 winner Hoppertunity would not be going to Dubai, and would instead be given a brief freshening. Hoppertunity would likely next race in May, according to the trainer. “I'm trying to save horses like him and Bayern for the summer and fall, the championship season,” Baffert told the DRF. 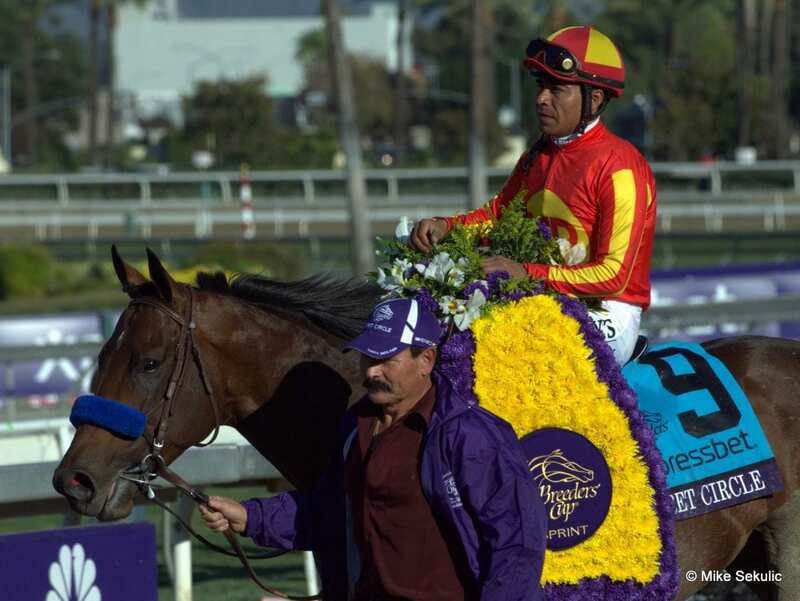 This entry was posted in Racing and tagged Bob Baffert, dubai golden shaheen, dubai world cup, Horse Racing, Meydan, Meydan Racecourse, secret circle, thoroughbred by Paulick Report Staff. Bookmark the permalink.